Laura DeLuca To receive your discount, you must enter the code provided in the Promotion Code box at checkout. Qualifying purchases are based on total order value of items purchased, excluding items already on sale, charitable donations, Gift Cards, postage and handling, taxes, previous orders, canceled orders, replacement orders, and returns. Offers cannot be combined, are not available on all products, and are subject to restrictions and limitations. Items may vary and are subject to availability, delivery rules, and times. Prices and charges are subject to change without notice. Void where prohibited. 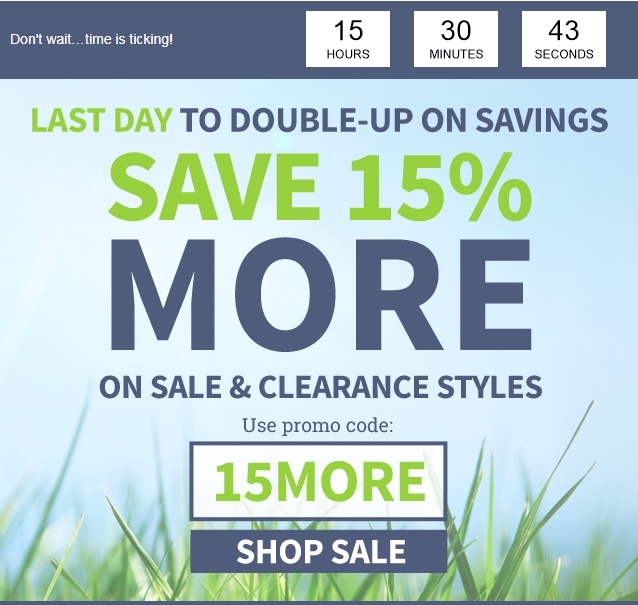 Offer valid through 11:59pm PT on sale end date. Axcel Rojas I am validating that this deal works as described. 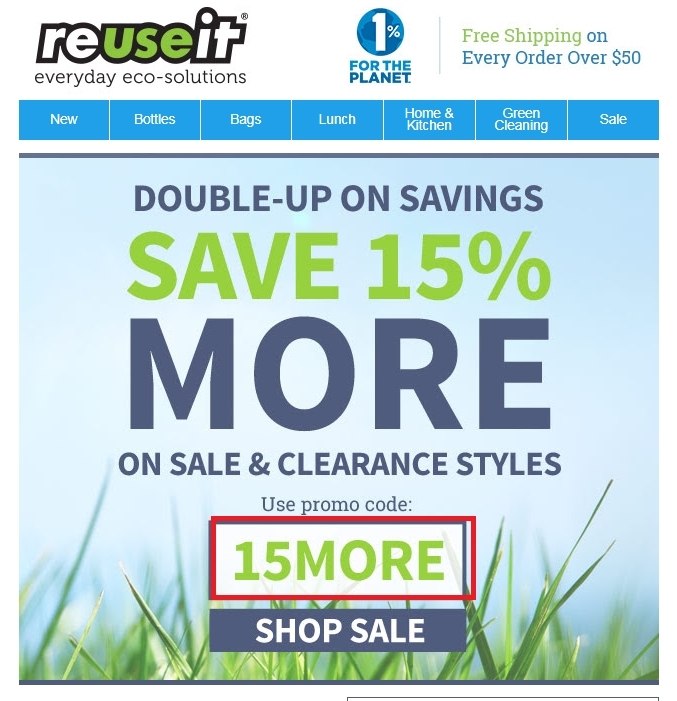 Just enter the page, apply the promotional code at the time of purchase to receive 15% Off Sale Items at ReUseIt.com. elio lopez This code is valid and works. 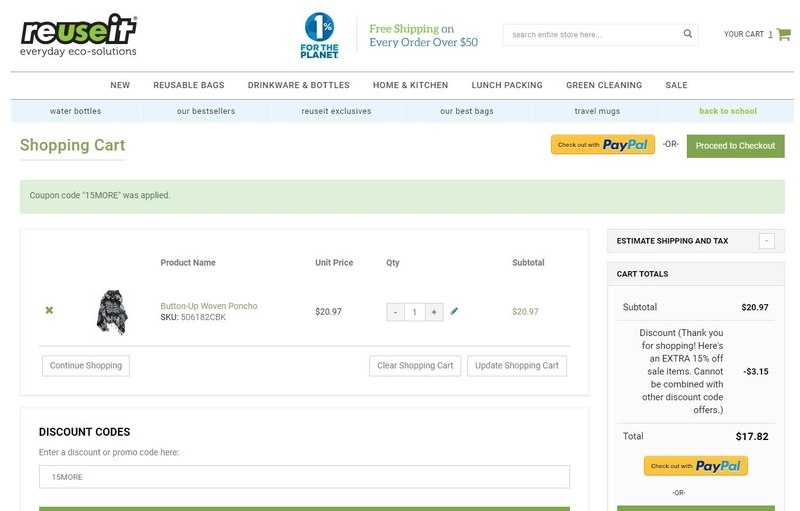 Go to the shop page, add items to your shopping cart, go to the checkout page, enter the code in the box of the promotional code and then apply to activate it, then continue with the payment process. @gael1715 I have correctly validated the information. 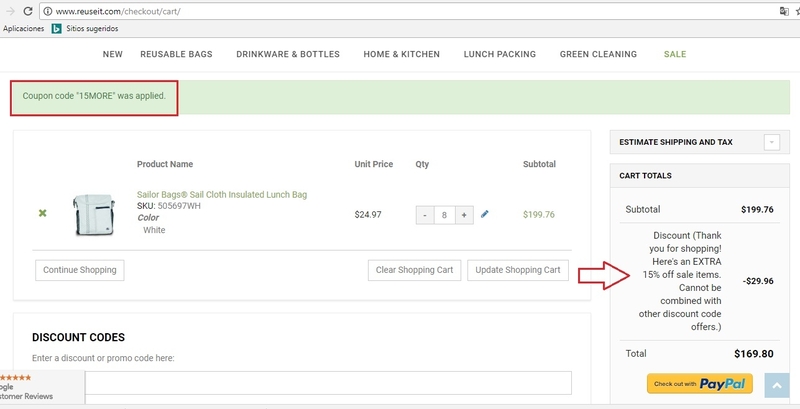 choose your product and add it to then shopping cart. 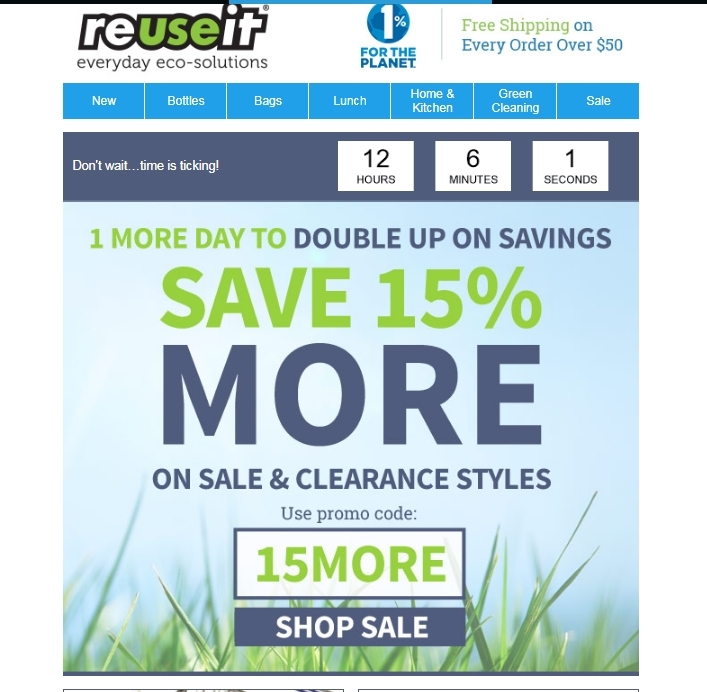 then apply the promo code in the promo codes box to get 15% off sale items at ReUselt.com. Kaye Baroody Deal works as described and shown in my screenshot. Apply at checkout. Natalie Decker To receive your discount, you must enter the code provided in the Promotion Code box at checkout. Qualifying purchases are based on total order value of items purchased, excluding items already on sale, charitable donations, Gift Cards, postage and handling, taxes, previous orders, canceled orders, replacement orders, and returns. Luis Suarez "I am validating that this deal works as described. 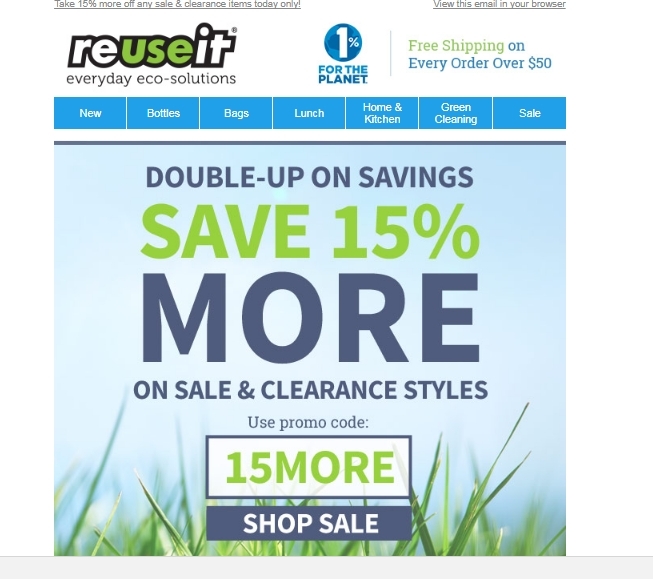 Enter code and Get 15% Off Sale Items at ReUseIt.com. This is a limited time offer."